The data relating to real estate for sale on Luxury of Naples come in part from the Broker Reciprocity Program (BR Program) of M.L.S. of Naples Area Board of REALTORS. Properties listed with brokerage firms other than Florida Home Realty. Realtors are marked with the BR House Icon and detailed information about them includes the name of the Listing Brokers. The properties displayed may not be all the properties available through the BR Program. Luxury of Naples is the leading Southwest Florida's online resource for residential Naples real estate and commercial/industrial properties in Naples, dedicated to providing an outstanding service to buyers and sellers in Naples real estate market. Our websites attracts thousands of daily real estate consumers from all over the world. The website features a numbers of licensed Naples real estate agents whose mission it is to find the top properties that exceed our clients' expectations. Since we have one the largest listings database in Southwest Florida organized by most luxurious communities in the area, search for Naples condos and Naples homes is made simple. Between an endless Naples real estate inventory and knowledgeable team in every aspect of Naples real estate is here to help you find a high-rise condo, luxury homes or Naples commercial real estate, Luxury of Naples is the areas' top real estate resource of choice. Luxury of Naples serves the housing needs of every real estate consumer looking for Naples real estate, from professionals just starting out to corporate executives seeking to invest or live in their Naples condos as full-time residences. Locating and securing those special condos for the most discriminating clients is our forte. With Luxury of Naples working for you, you'll have at your fingertips thousands of Naples condos and homes featuring the highest level of amenities in Southwest Florida real estate market. 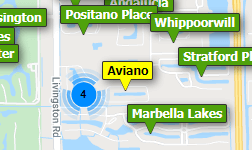 The scope of our real estate resource and information aggregation makes our resource the most trafficked site in the area when considering real estate in Naples. Within the Luxury of Naples network are a number of affiliate companies designed to assist you with all your relocation and move-in needs. Whether you require a Naples condo or a luxury Naples home, we've got the right Naples real estate agent to help you.